We’ve been working with a client in the insurance industry for about four years now. It all started when they were dissatisfied with their previous applicant testing service. So we introduced them to the PXT assessment which tests candidates in three areas: Thinking Style, Behavioral Style, and Career Interests. First, we start by delivering training to the recruiters who administer the testing site. The recruiters’ role in the applicant testing process is to a) contact Paramount Potentials to let us know when a new pattern needs to be created for an open position, b) send applicants the assessment invitation email, and c) send hiring managers the PXT Candidate report. Then, we provide training to the hiring managers to a) get them familiar with the value of the instrument, b) the process we would use to assist them and HR to create PXT profiles for open positions, and c) inform hiring managers that we are at their disposal (at no additional cost) to further interpret the report until they feel knowledgeable about the results. Of course we continue to do this training on a regular basis. The first year involved a lot of PXT job profiles being created based on their job descriptions in all of their professional positions. We even tested star performers in the higher volume positions to further validate the predictability of the tool. PXT pattern creation is the service we provide to the client at no additional cost and is accomplished by partnering with the hiring manager to “fine-tune” the predictability of the PXT profile for their open position. Recently, the V.P. of H.R. at her request met with Dorene Burkhalter, President of Paramount Potentials, to discuss how to take the PXT Select to the next level. She would like her hiring managers’ to use two of the twelve life-cycle PXTS reports to coach new hires on topics related to improving interpersonal relationships with their boss and peers. This coaching discussion would probably take place immediately following the 90-day new-hire review in order to allow the new hire to focus on the technical learning aspects before delving into interpersonal aspects of the job. How Does the New PXTS Onboarding Component Work? Upon notice to HR that the new-hire has passed his/her 90-day review, the HR Generalist would send the hiring manager an email directing the hiring manager to review the attached PXTS reports, The Individual Feedback Report and the Coaching Report, to then provide the Individual Report to the new hire, and to schedule a coaching session to discuss how each prefers to work, communicate, address conflict, organize, etc. The results of adding the coaching step using the PXT Assessment should be clearly defined and interpersonal with team relations expectations established early in the new hire’s developmental experience. We will keep you posted as we progress! 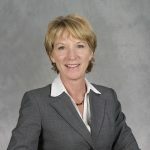 Dorene Burkhalter, M.S., C.E.C., is an organizational consultant, educator, and leadership coach who creates successful working relationships with employees at all levels of an organization.